Everyday hundreds of people walk through the doors of Stevenson Memorial Hospital, and if it happens to be a Wednesday, chances are that the first thing they’ll see is Susan Sparling’s warm, welcoming smile. 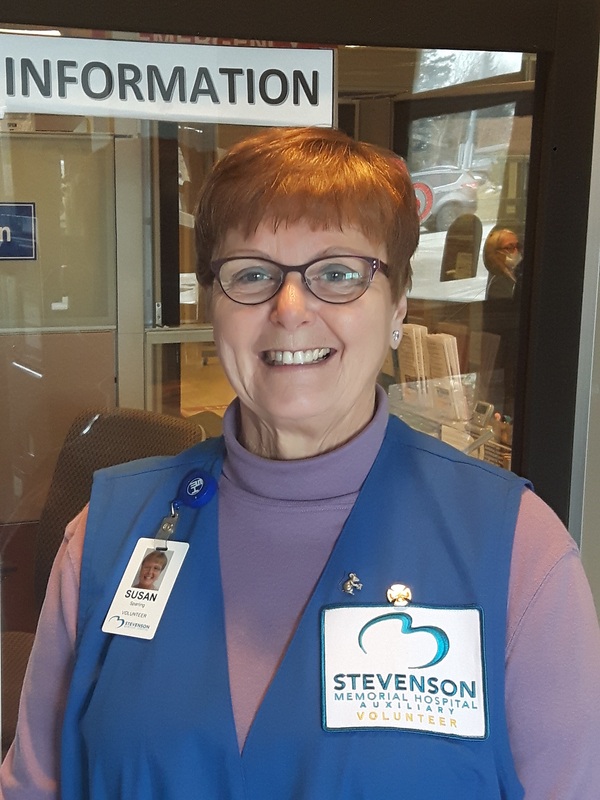 A member of the hospital’s axillary, Susan has been volunteering at the information desk, since moving to Alliston with her husband David in 2012. But above all else, it’s about helping others that Susan enjoys most. Thank you to Susan and to each and every one of staff, donors and supporters. It’s the care that makes our hospital so truly special and caring people like you make it all possible.